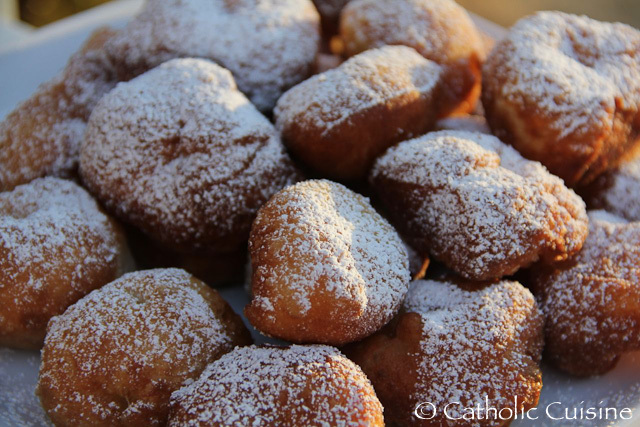 Mardi Gras is French for "Fat Tuesday." It is held on Shrove Tuesday, the day before Ash Wednesday. Last October, when my girls were studying the state of Louisiana, we made Beignets! We used a recipe from a friend of mine who lives in Louisiana (Thank you Aimee!) which was so easy and yummy. We decided to make them again today as our Mardi Gras treat! 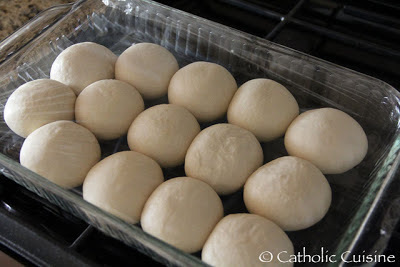 Thaw dinner rolls according to directions. 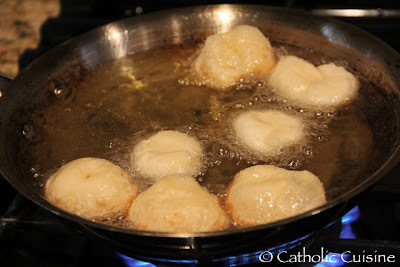 When they've risen to the size of dinner rolls, heat up canola or vegetable oil in a frying pan. Using kitchen scissors, cut each roll in half and then poke a hole in the center for even frying. Fry until golden brown on each side and drain on paper towels. Sprinkle liberally with powdered sugar. You can find additional recipes for Shrove Tuesday in the archives. 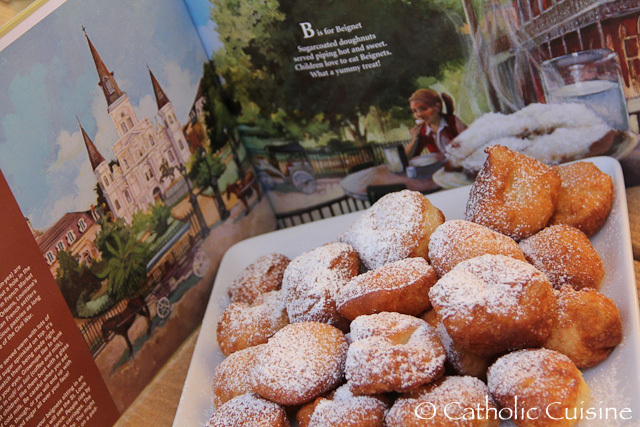 Wow, never thought about using frozen bread roll dough to make beignets! So much easier than having to mix up the dough. I never allow enough time for the yeast to raise Thank you for sharing this timesaving idea! Hmmmm. thanks elm! But my issue is I never "fry" things, we only use oil for recipes....baking and popcorn. We might need to make these more often I guess! Wow! These beignets look good! My kids will definitely enjoy these treats for Mardi Gras. Thank you for this wonderful idea Jessica! 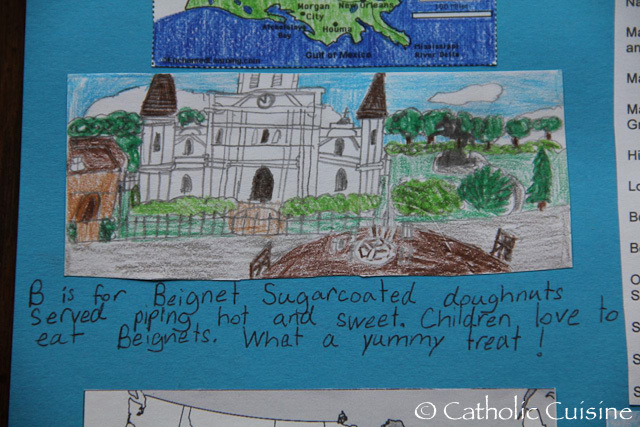 As served at the Café du Monde, French Market New Orleans, LA. 1. Combine In a large bowl, dissolve yeast in warm water. 2. Add sugar, salt, eggs, evaporated milk, and blend well. 3. Mix in 2 cups of the flour and beat until until smooth and elastic (about 8 minutes). 4. Add the shortening, and then the remaining 1½ cups of flour. 5. Cover and chill for up to 24 hours. 6. Work the dough as little as possible. 7. Turn the dough out on a clean counter and dust with a little flour. 8. Roll it ought to a uniform thickness of about a quarter-inch. 9. Cut into rectangles about two inches square. 10. Allow these to sit for a couple of minutes while you heat the oil. 11. Pour oil into a deep fryer and heat to about 360° F.
12. 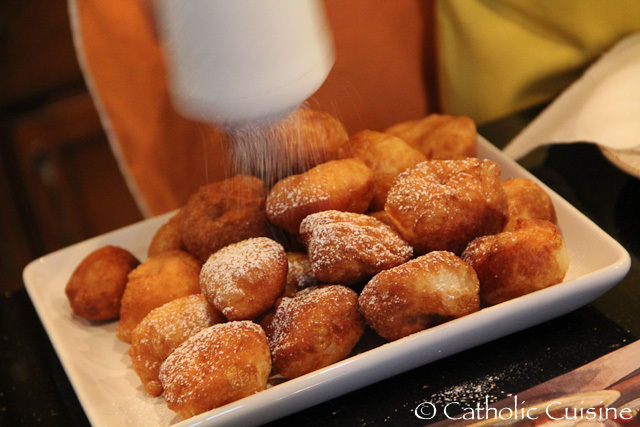 When the beignet dough squares have softened and puffed up a little, drop four to six at a time into the hot oil and fry until light brown. 13. Turn once and fry the other side. 14. Drain on paper towels. 15. It's all right to fry the misshapen dough pieces from the edge of the dough sheet. 16. Dust with powdered sugar and serve hot.